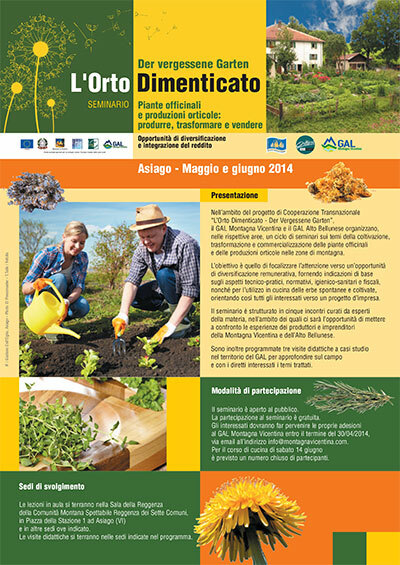 Within the framework of the projectTransnational Cooperation The Forgotten Garden - Der Garten Vergessene, the LAG and the LAG High Mountain Vicenza Belluno organize, in their respective areas, a series of seminars on issues of cultivation, processing and marketing of medicinal plants and production vegetable in mountainous areas. The aim is to focus attention towardsprofitable opportunity for diversification,providing basic guidelines on the technical and practical, regulatory, taxand sanitation, as well as for the 'use ofherbs in cooking and grown, directing so all interested parties to a business project. The seminar is structured in five matches handled by experts in the field, within which there will be the opportunity to compare the experiences of producers and entrepreneurs of theMountain Vicenza and 'High Belluno. They are also scheduled three visits toeducational case studies in the area of the LAG to deepen the field and with stakeholders the issues discussed. The seminar is open to the public. Participation in the seminar is free of charge. Those interested should send their subscriptions to the GAL Mountain Vicenza by the deadline of 30/04/2014, via email at info@montagnavicentina.com. 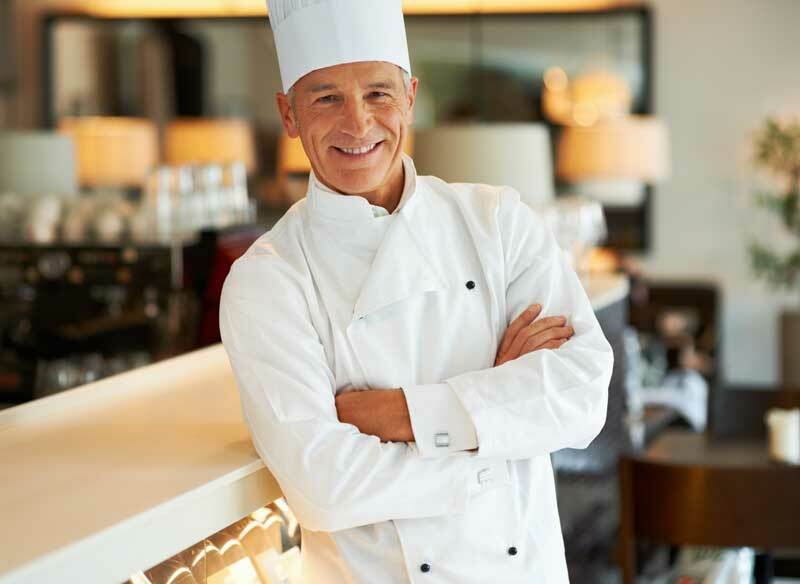 For the cooking class Saturday, June 14 there will be a limited number of participants. The lectures will be held in the Hall of the Mountain Community of the Regency Regency of the Seven Communes, in Piazza della Stazione 1 in Asiago (VI), and in other locations where indicated. Educational visits take place in the locations indicated in the program. Discover the art of cooking with herbs cultivated and wild, with flowers, knowing the features. Usually we think of flowers as decoration, but, besides being beautiful, colorful and fragrant, the flowers also have other virtues, and this course aims to discover them, explaining how to use medicinal plants, wild herbs and flowers combined with the typical products from Vicenza to invent or discover new dishes.